No fewer than 1,100 journalists were murdered over a decade, the UN has said. UN Secretary-General, António Guterres, in a video message for the ‘International Day to End Impunity for Crimes Against Journalists’, marked annually on Nov. 2, called the killing of journalists “outrageous”. The UN chief also regretted that the journalists were killed in line of duty. Guterres said: “The killing of journalists around the world for doing their job is ‘outrageous’ and should not become the ‘new normal’. “In just over a decade, some 1,010 journalists have been killed for reporting the news, and in nine out of 10 cases, the perpetrators are never brought to justice”. 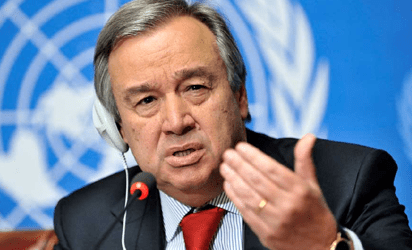 The UN chief said many thousands more have been “attacked, harassed, detained or imprisoned on spurious charges, without due process.” The Secretary-General paid tribute to the reporters in the field “who do their jobs every day despite intimidation and threats.” He, however, called on the international community “to protect journalists and create the conditions they need to do their work”. To mark the International Day, the UN Educational, Scientific and Cultural Organisation (UNESCO) is launching an initiative to fuel awareness on the issue of journalists killed on the job. Called ‘Truth Never Dies’, it encourages people to share stories by and about fallen journalists to keep their legacies alive and to push for investigations into their deaths to be continued. “The truth never dies. And neither must our commitment to the fundamental right to freedom of expression,” the UN Chief said, highlighting that when journalists are attacked “societies as a whole pay a price”. A study on global trends in media published by UNESCO in 2017 highlighted that impunity for crimes against journalists remained the norm, and trends in kidnappings, disappearances and torture had shown substantial increases since 2012.